There are many types of "diets" and methods of eating these days. Some are fairly good, while others are completely incorrect with regard to what the body needs and should be getting from food. Following fads and up and coming methods often isn't the best way to eat. The basis on what foods you eat throughout the animal kingdom are related to the type of teeth you have in your mouth. Animals like deer and cows have flat grinding teeth good for eating vegetation. Tigers have sharp teeth used for tearing and consuming meat. You don't see deer eating meat or tigers eating fresh grass and that is because they are ment to eat certain things based on how they metabolize and digest. We as humans have both sharp teeth in the front and flat grinding teeth in the back of our mouths. 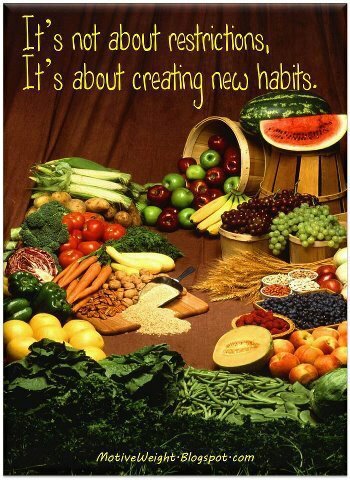 This is the way we are designed and that is why we are supposed to have both meat and vegetables in our diet. Eating proper foods and getting vital nutrients for proper body function will fix the problems of your body by replenishing a deficiency instead of blocking a natural process or poisoning an enzyme. It should come from a dense protien source such as: Beef, chicken, fish, lamb, duck, venison, eggs, and any other type of meat based protien. Be careful with eating a lot of pork because toxins are stored in fat and pork is high in fat. The pig has no sweat glands, which prevent it from releasing toxins via sweat so they generally have higher levels of toxins in their meat then other sources do. There is a lot of debate about how eating meat will cause heart disease. There is one major part of that theory that you may not know. Eating meat alone with vegetables is much different then eating meat with a carbohydrates or sweet food. Do not eat foods that break down into sugar with your meat protein, which includes all carbohydrates like pasta, bread, crackers, white potatoes, and sweets. When sugar is ingested with protein it can cause protein glycation, which is linked with aging, atherosclerosis, and diabetes mellitus. The sugar makes the fat change and become more "sticky" thus causing clotting and plaque formation. 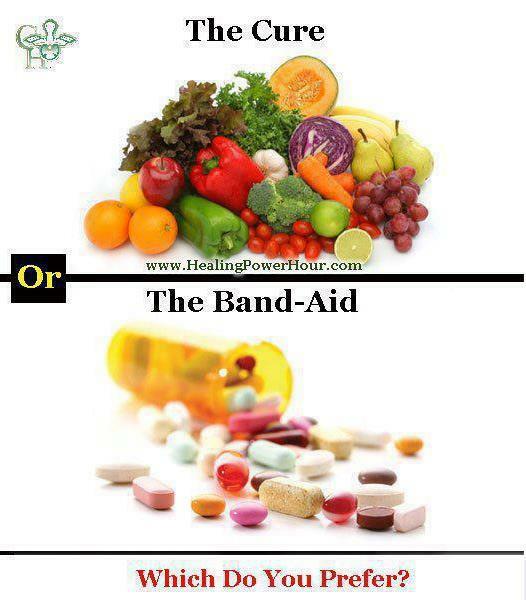 Eating meat and vegetables on a daily basis is vital to acheive optimal health. Eat raw vegetables because they have been shown to be much higher in active vitamins and enzymes. A few exceptions are carrots and tomatos, which have been shown to have more active beta carotene (vitamin A) and lycopene respectively after they are processed or cooked a bit. Don't drink your vegetables, eat them, and plenty of them. Drinking them is fine if you are juicing them yourself at home, but store bought vegetable juice is all pasteurized which damages the vitamins and enzymes. Stay away from white potatoes which can have as much sugar in starch form as 1 can of Coke. Also try not to eat lots of beans because they contain high levels of phytic acid, which can bind up minerals in your food and prevent them from being absorbed. Make sure your meal is 60 - 75% vegetable and only 25 -35% meat so you creat a more basic/neutral internal pH. Most meat is acidic to some degree to eating more vegetables and limiting carbohydrate intake will help push you toward the basic spectrum of pH. The more acidic you are the more incidence of pain, dysfunction, and even cancer, so you want to stay in a neutral range. Be aware of which vegetables are alkaline vs. acidic (View chart of pH of foods). 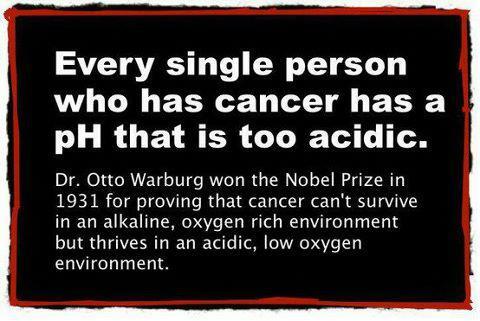 Most people are too acidic in today's society so you should consume vegetables that are more alkaline then acidic. This neutralizing effect by vegetables is one of the major benefits that fights against cancer. Eat fruit between meals as a snack and try to eat fruit that is in season. Do not drink fruit juice because it is very high in sugar and is pasteurized which can damage vitamins and enzymes. Do not large amounts of dried fruit because it is very high in sugar. Remember everything in moderation. Wheat/Carbohydrates - all wheat (whole grain or processed), cereals, pasta, breads, crackers, or any other products high in carbohydrate content. They break down into sugar which gets stored as fat and can also alter protien digestion when consumed together. Corn - There is some report of allergies or sensitivities to corn resulting in problems with digestion, skin disorders, and fatigue to name a few. Also corn is a starch/grain not a vegetable and so has a high glycemic index, meaning it just turns to sugar. Most corn is genetically modified as well which has been linked with diabetes, cancers, and other problems. Dairy - Dairy products have lactose, casein and whey protiens which can cause digestive problems for some people. Butter is fine because it is extremely low in lactose and is casein free and actually has a number of health benefits. Never eat margarine or other hydrogenated oil butter substitutes. Sugar - Sweets such as cookies, cakes, ice cream ext. are all processed added sugar that should not be in the diet. These items ideally should be completely removed from your diet. Sugar makes fats stickier to blood vessels increasing plagues and also cause glycation of protiens. Eating added refined sugars or just sugars in general also has effects on memory and fat metabolism. (Click Here for article explaining relation between sugar and memory issues). Often the hardest part of eating the paleo style diet is getting away from the carbohydrates such as breads, pastas, cereal, and white potatoes.There are certain carbs that are much easier to digest and better for you and can be found at most grocerey stores. The first thing you want to avoid when selecting a carb is gluten containing foods, which is anything with wheat, oat, barley or any other basic flour you find in most pre-packaged items. Gluten causes intestinal irritation and can be associated with certain autoimmune reactions and allergies. Another factor to consider is the glycemic index, which measures how long it takes the grain to break down into sugar componets. The lower the glycemic index the better the food is for your body because the slower the grain breaks down the less problems your body experiences. When processed and refined carbs are eaten they break down fast causing fast spikes in blood sugar, which can put stress on your pancreas and adrenal glands. If you are going to have a carbohydrate portion in your meals there are a few options that are healthier then others. If you like potatoes replace the basic white potatoe with a yam or sweet potatoe. They are much higher in nutrients and have a lower glycemic index. If you like pasta try eating brown rice pasta or quinoa pasta, which looks and tastes just like normal pasta. It comes in all styles of noodles and shapes just like basic wheat based flour pasta, but is gluten free and has a much lower glycemic index. If you like rice eat quinoa or brown or jasmine rice instead of white rice. Brown and jasmine rice have lower glycemic indexes then white rice, which is highly processed. 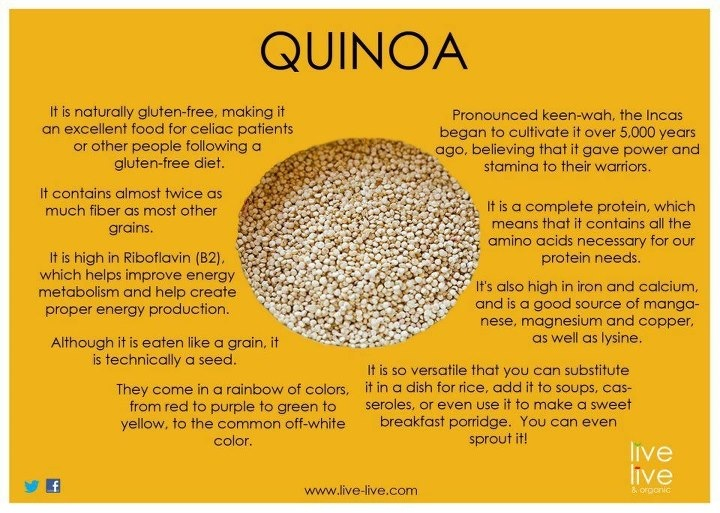 Quinoa is a superfood and the best choice for a carb substitute. It is actually a complete protien and contains all the amino acids needed in your diet and its completely gluten free. You can find these foods in most stores and can give you that satisfaction of eating a carb without all the health consequences. If you have questions or need ideas for recipes please send us an email or check our blog, Facebook, or Twitter page (@synergychiros) for possible recipe postings. Eat a diversity of the recommended foods. Each type of vegetable or protien or fruit has higher levels of specific nutrients, so its important to make sure to mix up the types you are eating to insure you are gettting a wider spectrum of proper vitamins and minerals. 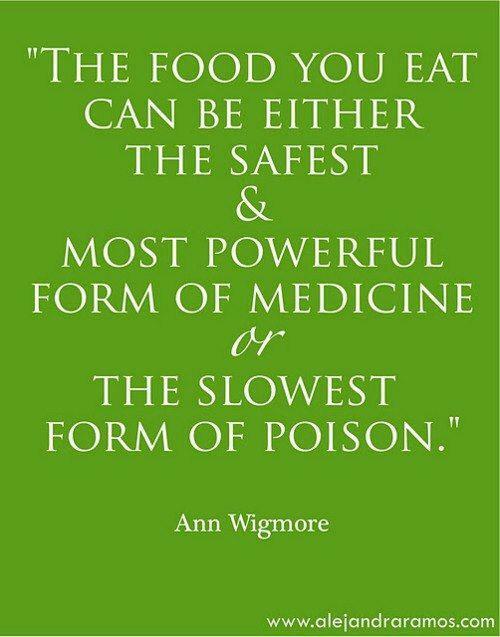 At Synergy Chiropractic we can give you a individualized diet plan based on the way your body reacts to certain foods that we can test for you. Contact Synergy Chiropractic if you have questions or want to get tested for food sensitivities. 2. This is an article in the journal Annals of New York Academy of Sciences about protein glycation and its effects on the body. "Protein Glycation Creation of Catalytic Sites for Free Radical Generation." 3. Information about fruit juice and the effects of pasteurization on natural enzymes and vitamins. (Click Here) Juicing of fruits and vegetables when done at home with the proper juicing machine that uses a cold press process to preserve physiological function of enzymes and vitamins its healthy. Still do not recommend drinking fruit juice that often. 4. Article in Rheumatology International about food allergies and relation to fibromyalgia pain patterns. "Dietary Aspects in Fibromyalgia Patients..."